15 Awesome Bean Bags You'll Want for Your Own Home! 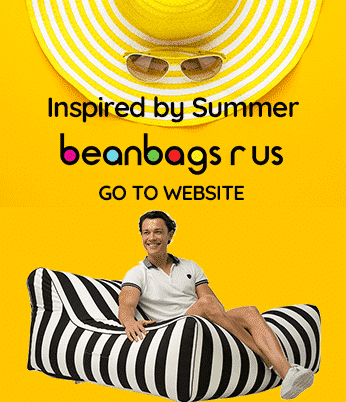 Bean Bags R Us NewsBean Bag Chairs15 Awesome Bean Bag Chairs You’ll Want for Your Own Home! If you thought bean bag chairs were a thing of the past, think again. These quirky seats are making a comeback, and it’s no surprise why. Not only are they mega comfortable, but they take your decor style to the next level. Bean Bags come in every shape and colour imaginable and make excellent seating options for any room. If you’re ready to join in on this interior design trend, keep reading to find out the 15 coolest bean bag chairs of all time. The best bean bag chairs are the ones you can share with those you love. With a giant, 8 ft. bean bag you can cuddle up with your partner for a movie. Or, throw the kiddos in it for a nap. It’s the perfect addition to any home theatre or living room. And, don’t be surprised if your pets want their bean bags too! Why get one big chair when you can get a dozen little bean bag chairs? These bags come in varying sizes and shades to look like a pile of stones. The grey colours create a relaxed, natural vibe in any room. Kids can play in them, or you can set them up like art. For a fresh, outdoorsy style you need a mountain bean bag chair. These Mountain Bean Chairs look like The Rockies, complete with a snowy peak. Any room with a natural boho vibe will make a perfect background. Comfort and style go hand in hand with this stylish bean bag. The eco-friendly interior design was all the rage in 2018. Keep up with this green trend by reusing old coffee bean bags as chairs. These chairs are comfortable and aesthetically pleasing. Buy them online or make them yourself. Fill with coffee beans or the traditional bean bag filling. Where do you sit when you meditate? A bean bag chair shaped like a lotus flower may be the most comfortable choice. This low chair has bean-filled petals that cascade. You sit in the centre of the flower as you centre your body and mind. If you’re looking for a multifunctional bean bag chair, this one’s for you. During the day, use it for extra seating and casual movie watching. At night, it converts into a bed with ease. This chair is perfect for small apartments that don’t have room for a full-sized guest bed. Take your love for bean bag chairs to the next level with a bean bag hammock. The four corners of this bag can connect to a chain to any structure. Hang it from the ceiling or string it between chain-linked fencing outside. There’s nothing trendier than suede seating right now. Add some bean bag filling, and you’ve got comfort and style. The cool thing about a teardrop-shaped chair is the way it feels when you sit in it. Your lower back gets supported by the top of the teardrop creating an enjoyable place to rest. Plus, suede in charcoal, blue, orange or black is super on trend. The Chill Sack is great for many reasons, one being the memory foam filling. If you’re seeking comfort and support for your back, the chill sack is the one for you. The memory foam moulds to your unique shape and forms to your body. The next time you sit in it, it’s perfectly moulded just for you. The epitome of luxurious room design is a set of comfy lounge chairs. Whether you want to curl up with a good book or stretch out with a cocktail, these bean bag chairs are perfect. Plus, the variety of colours means they match nearly any d?cor style. If you enjoy lounge chairs, why not take that love outdoors? Bean bag chairs with free material allow you to enjoy the comfort under the stars. Use them as seating at your next BBQ, or to lounge on as you tan your skin under the sun. The classic bean bag chair also comes in a rectangular shape. Think of a sleeping pillow, only ten times bigger. These bean bag pillows make excellent playroom furniture for kids. Or, for the shared space in your staffroom or office. Add comfort and fun to any area with a giant pillow. What happens when you throw a bean bag chair in a pool? Well, with the right filling, it floats! Pool bean bag chairs are all the rage for pool parties and quick dips. The large rectangular shape allows you to stretch out while you float. Do your kids have an insane number of plush stuffed animals? You’re probably tired of finding places to store them in the playroom. Storage bean bag chairs are the solution to your problem. Rather than being full of beans, you can fill toy storage bean bags with plush stuffed toys. It gets rid of the clutter while providing a comfortable seat for your kiddos. If you don’t have a bean bag chair covered in pictures of your cat, you need one. Being able to personalise a bean bag chair gives you the freedom to customise your style. If you took a beautiful photo on vacation, have it blown up and put on a chair. Each kid can have their chair personalised with their name. You can even put their pictures on their chairs. Ask us about our personalised bean bag chairs. Itching to Get Some Bean Bag Chairs? No home is complete without a couple of beanbag chairs. Whether you prefer functional styles that your kids can play on or luxurious outdoor loungers, there’s a bean bag style out there for you. Bean bag chairs are ideal for kids, pets, pool time and movie watching. Anyone who wants to relax will find serenity and comfort in one of the giant bean-filled pillows. If you’re interested to know what bean bag chairs are best for you, or if you need to know how to style them in your home, check out our blog.